Opening Day is exciting for everyone, but for you and I, its even better. We know that this is when we really get to see what’s what in baseball gear for the new year. 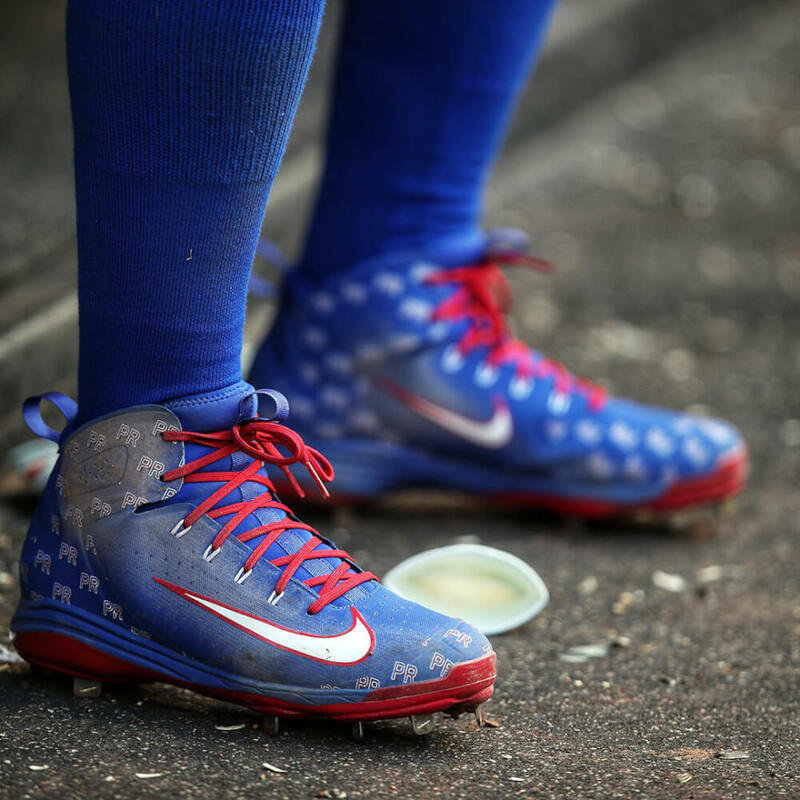 The Cubs are one of the teams to watch not only for their play, but their swag. 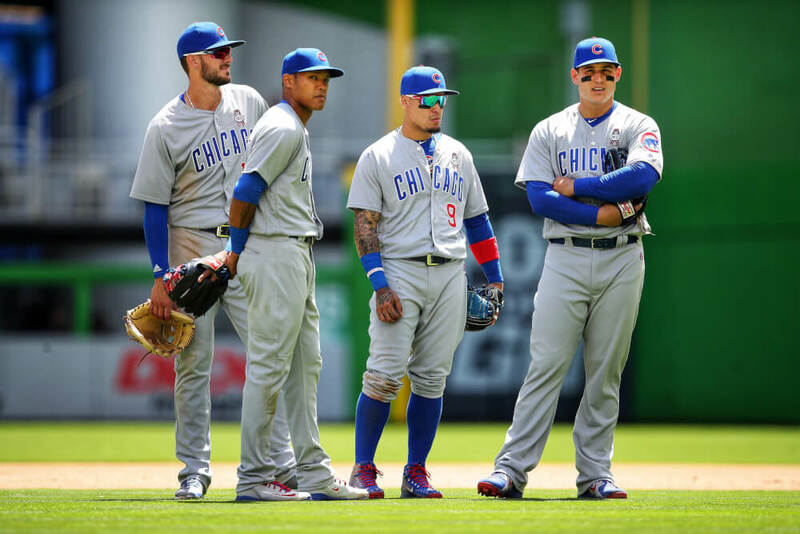 Here’s what the Cubbies took to the field with on Opening Day in Miami. Javy Baez could make an 0-4 with 4 K’s look good. The swag factor is off-the-charts. If I was a scout I’d give him a Big League contract on his cleats alone. 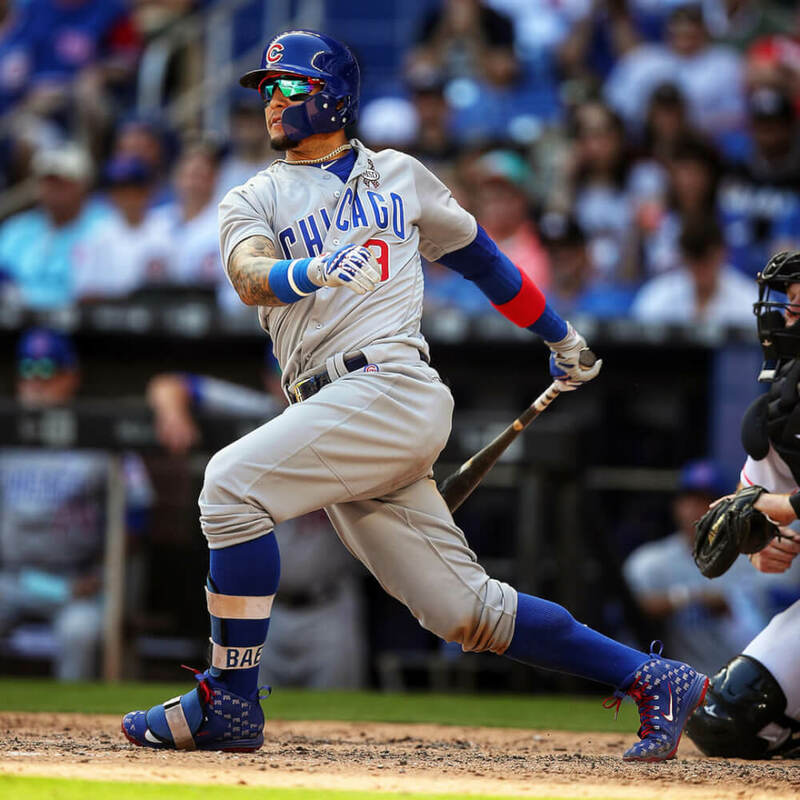 Player Exclusive Nike Alpha Huarache Elite cleats with “PR” pattern in honor of Puerto Rico are exactly what you have come to expect from Javier Baez’ cleats. Pure heat. 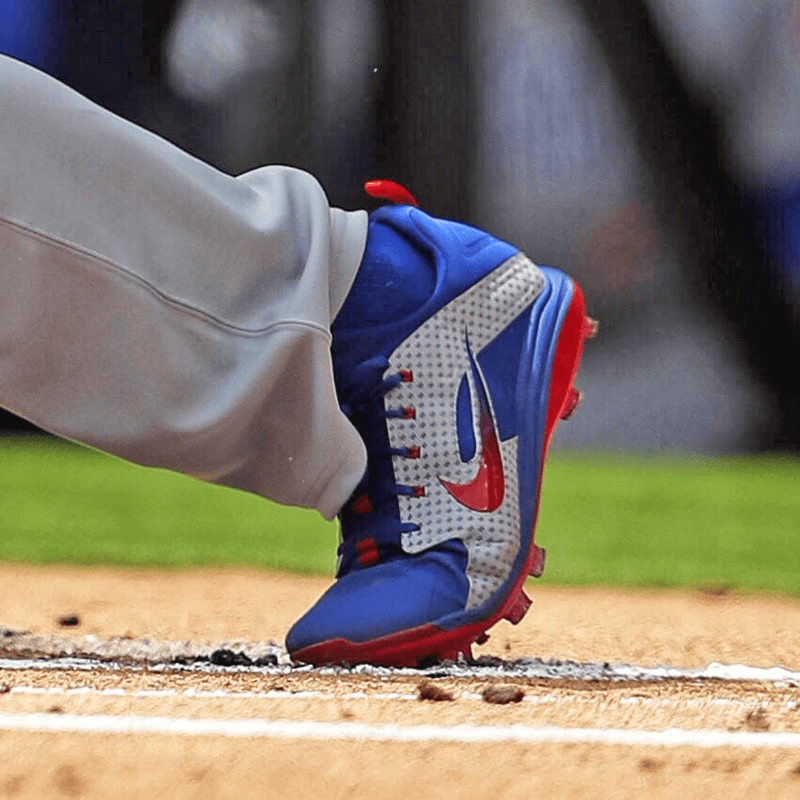 You won’t get Alpha Huarache Elite Mid cleats exactly like Javier Baez unless you get them off his feet, but we made a Javy-inspired NIKEiD Alpha Huarache Elite at the link that we think is worthy. 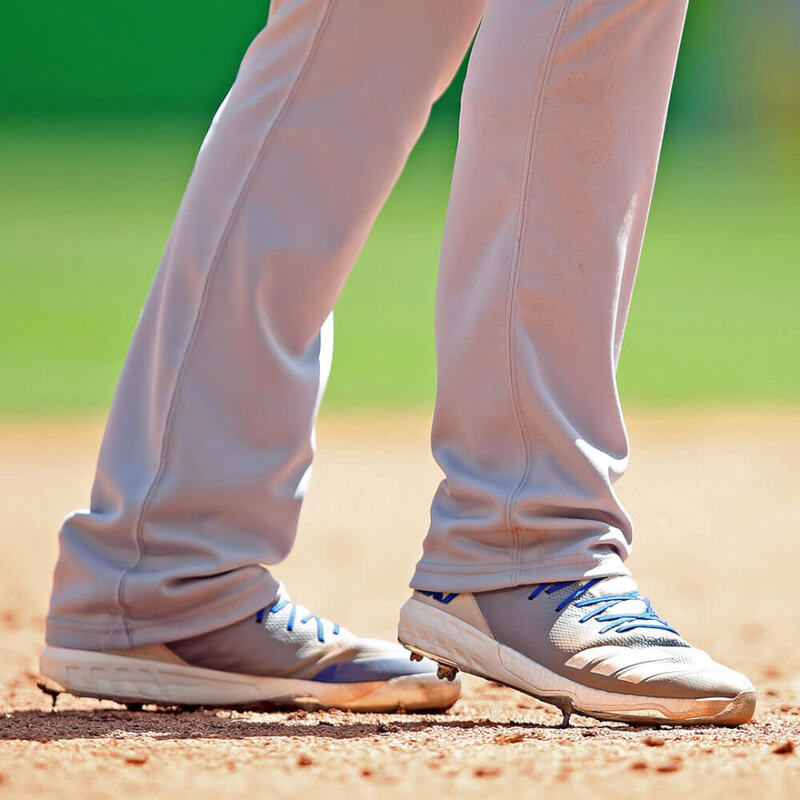 Addison Russell also wore Alpha Huarache Mids. Make your own NIKEiD’s here. Javy Baez, like Manny machado, put a closed web on his SSK this year. You can also see some mesh as well. 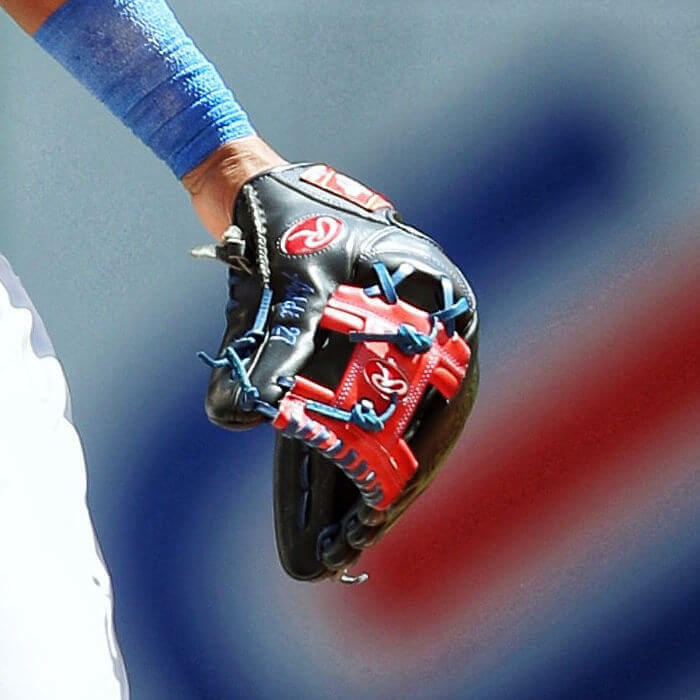 There is no glove like this out there, but JustBallgloves offers a pretty Javy Baez model glove at this link. Anthony Rizzo opted for the Alpha Huarache Lows, which is an entirely different look than the Mids, and unfortunately these haven’t been added to NIKEiD yet. If you look closely, you can see a pattern of W’s, which of course is the Cubs’ favorite letter. 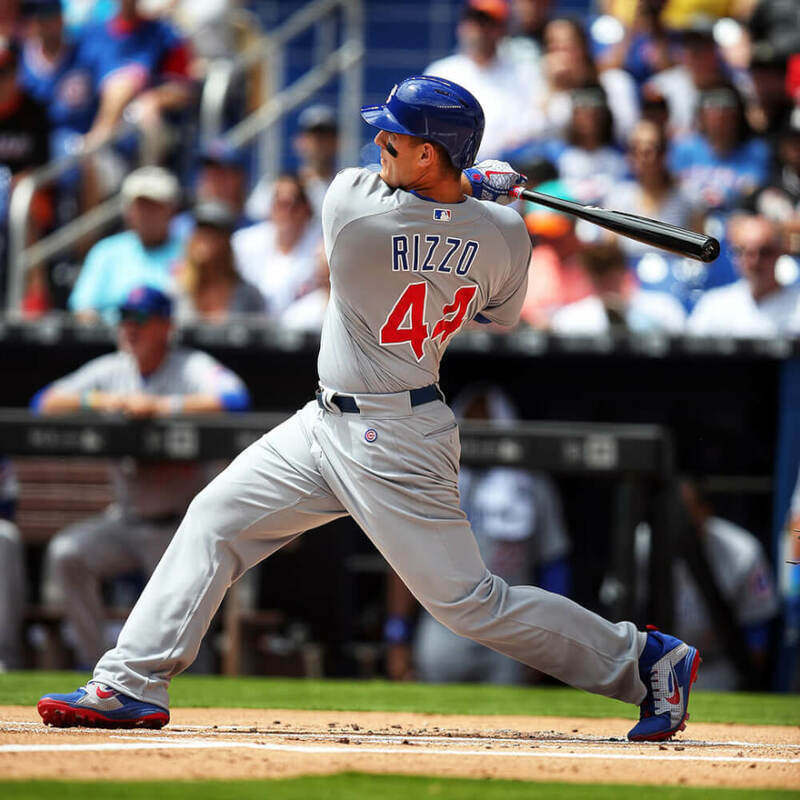 Rizzo’s cleats are MCS (not metal), to reduce wear and tear on his feet. Shop the lows here. Which Alpha Huarache do you like best? 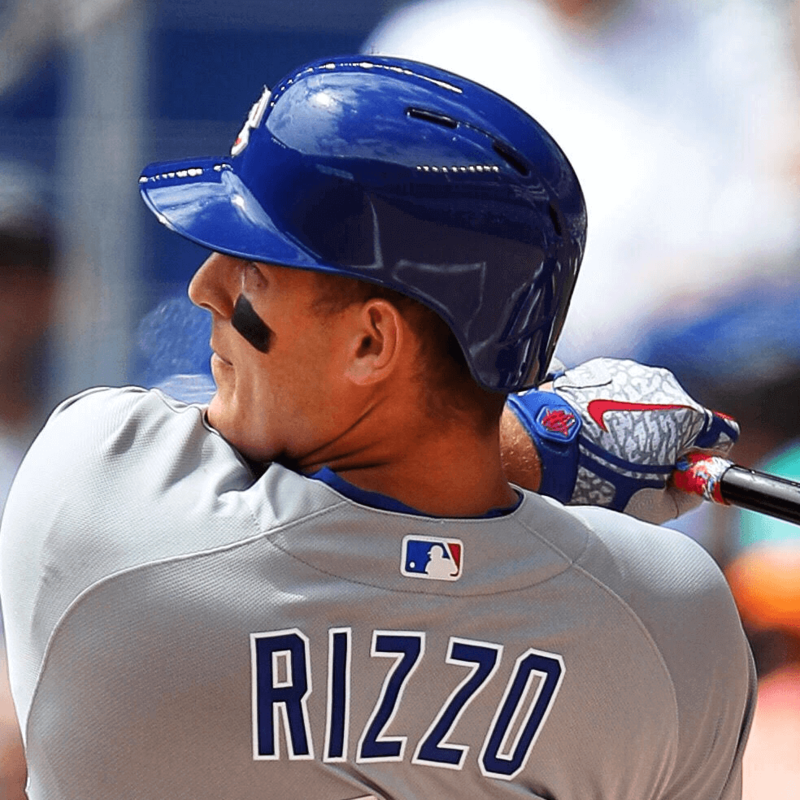 Rizzo’s player exclusive Huarache batting gloves exploit my weakness for grey elephant print. Why is elephant print so cool? I don’t know, science? Its going to be tough to make a sexier batting glove than that this year. Shop Huarache BGs here. 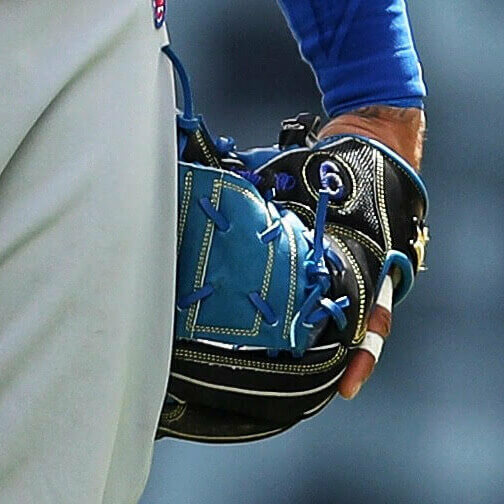 Addison Russell has worn a PROS205 pattern in the past with Rawlings, but this year he’s got a glove with the most buttery leather imaginable, a Rawlings Gold Glove model. When WPW followed Rawlings around at Spring Training back in 2015, we picked one of these up and it felt like nothing we’d ever felt before. And every pro who touched it kept going back to it because of the feel. 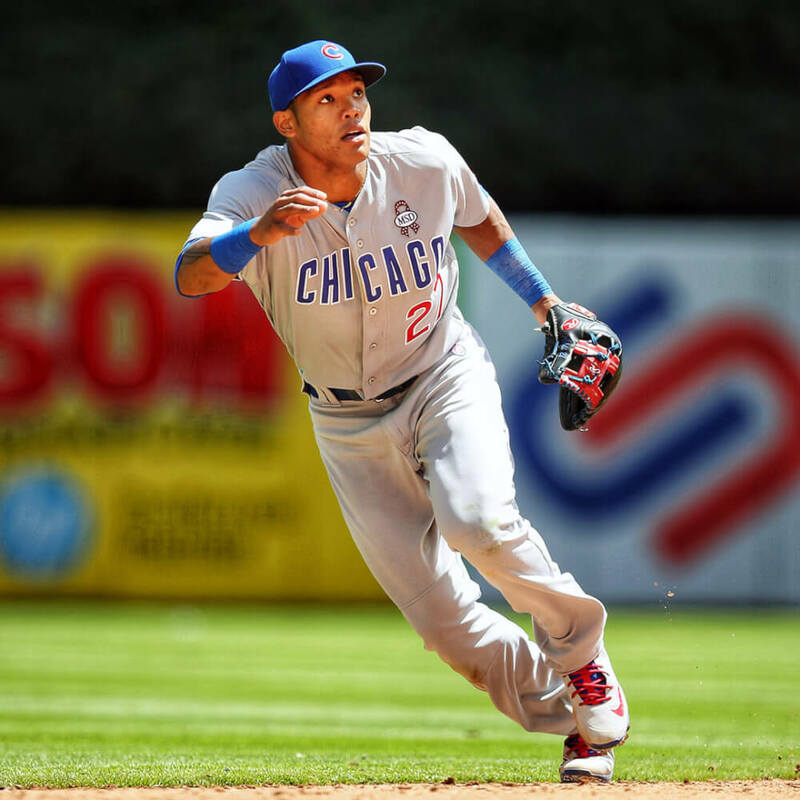 This glove is a total custom for Addison Russell only, but you can shop a number of RGG models here. Like his previous glove, this is an 11.75″ pattern, specifically a RGGNP5. The NP5 is an enormously popular infield pattern, especially for third base and shortstop. You can’t get a few of the details like the hand sewn welt (see it on the thumb), or the red patch with a gold border on the custom builder, but you can get a nearly identical version at this link. 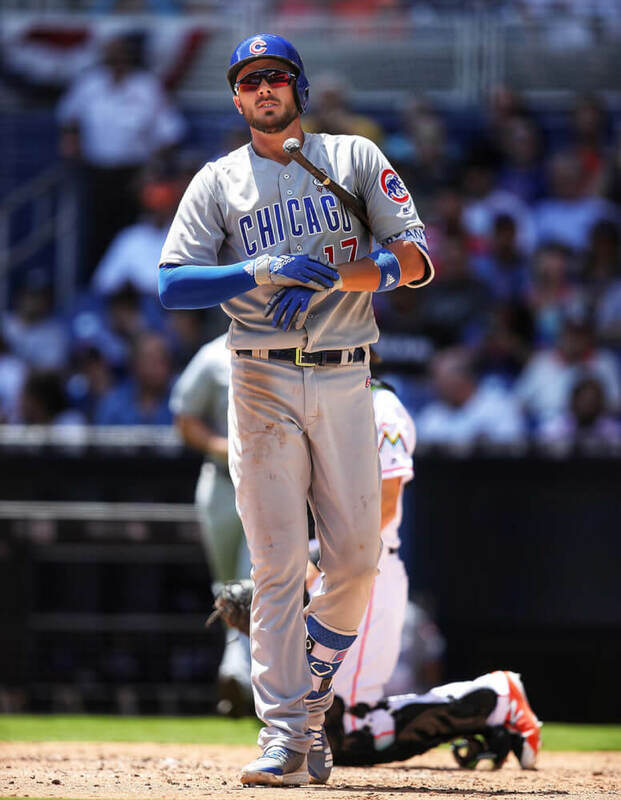 Kris Bryant was also swagged out with Evoshield Evocharge elbow and leg guards with custom straps. 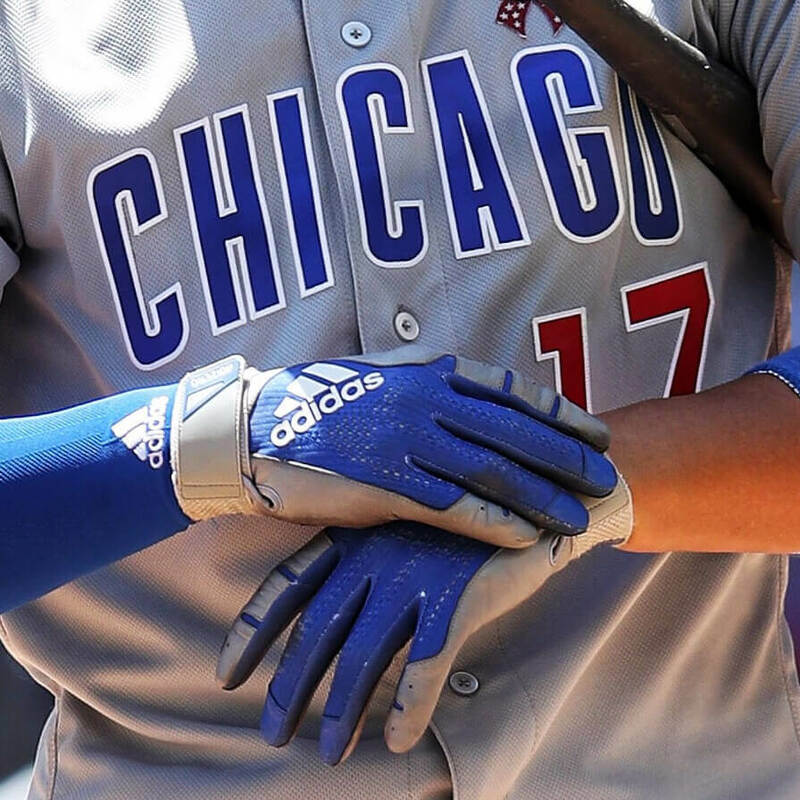 Bryant’s adidas batting gloves say “ADIZERO” on the strap, but we couldn’t find these. 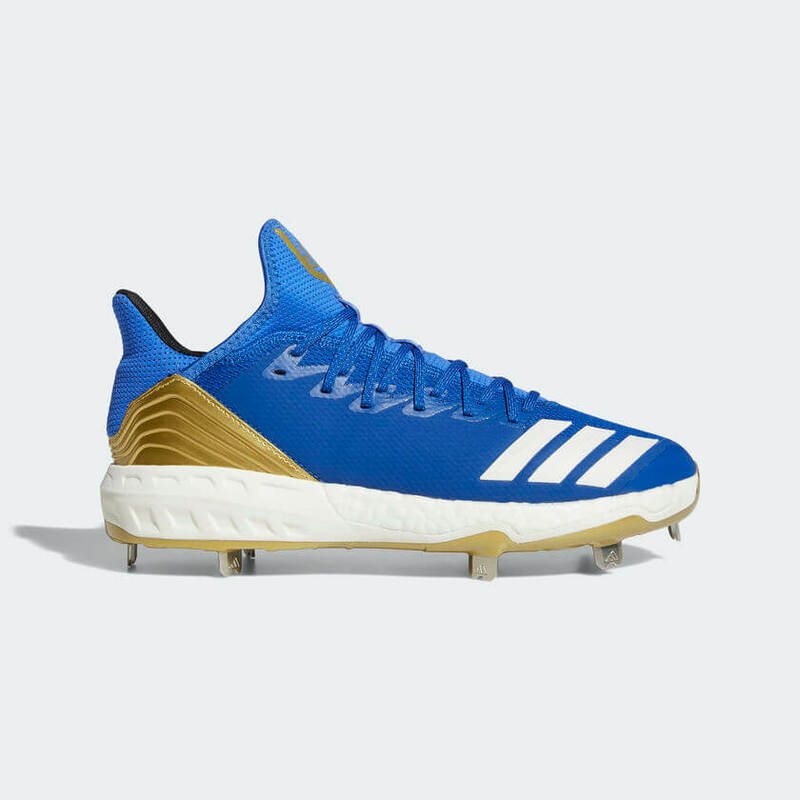 Shop adidas batting gloves on Eastbay. 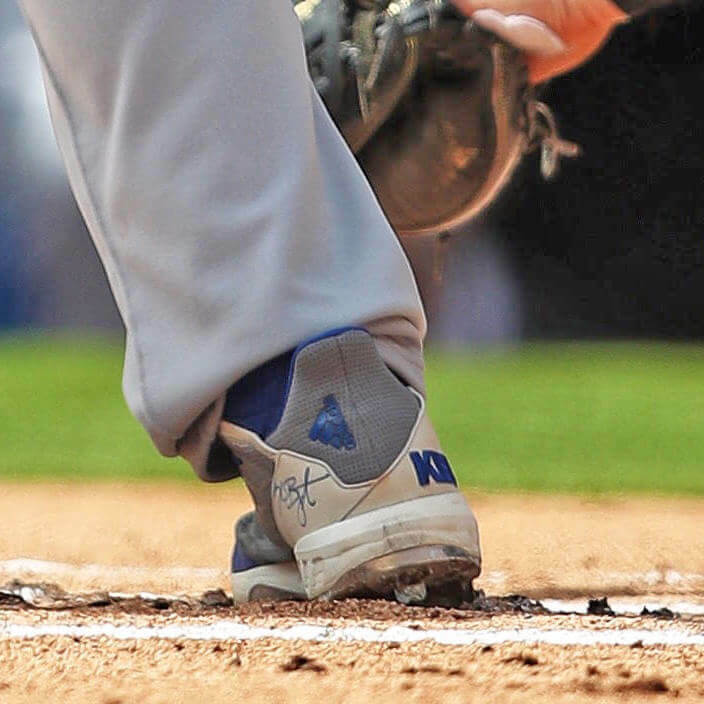 Kris Bryant is wearing brand new Icon 4 cleats, which is the first we’ve seen them. From what we could tell, Aaron Judge is wearing these, too, and they look pretty damn good. Shop the Icon 4 on adidas.com.